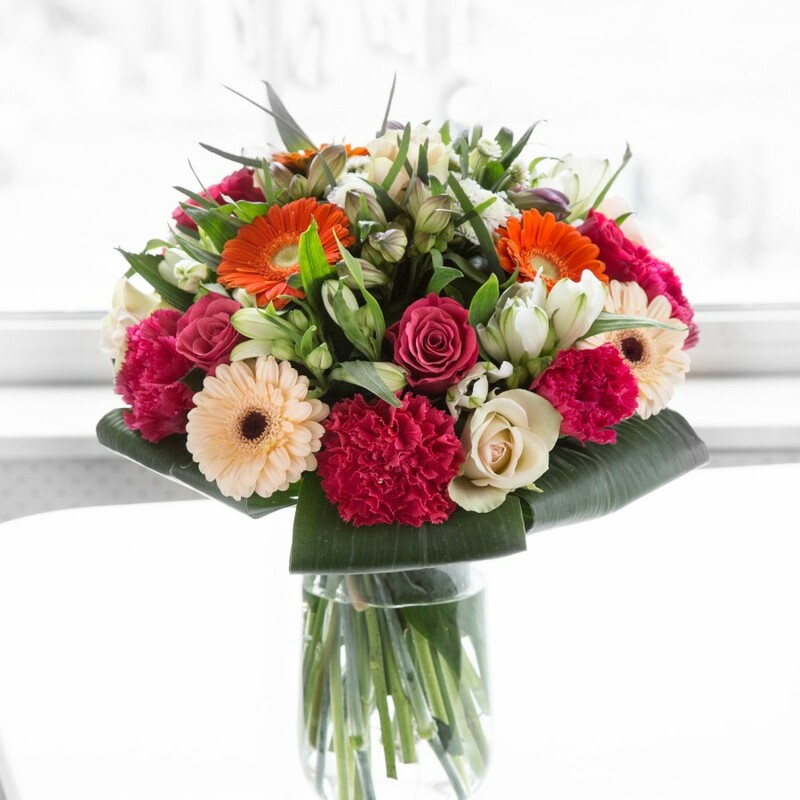 With its richness this bouquet is inspired by the classic tones of spring season. 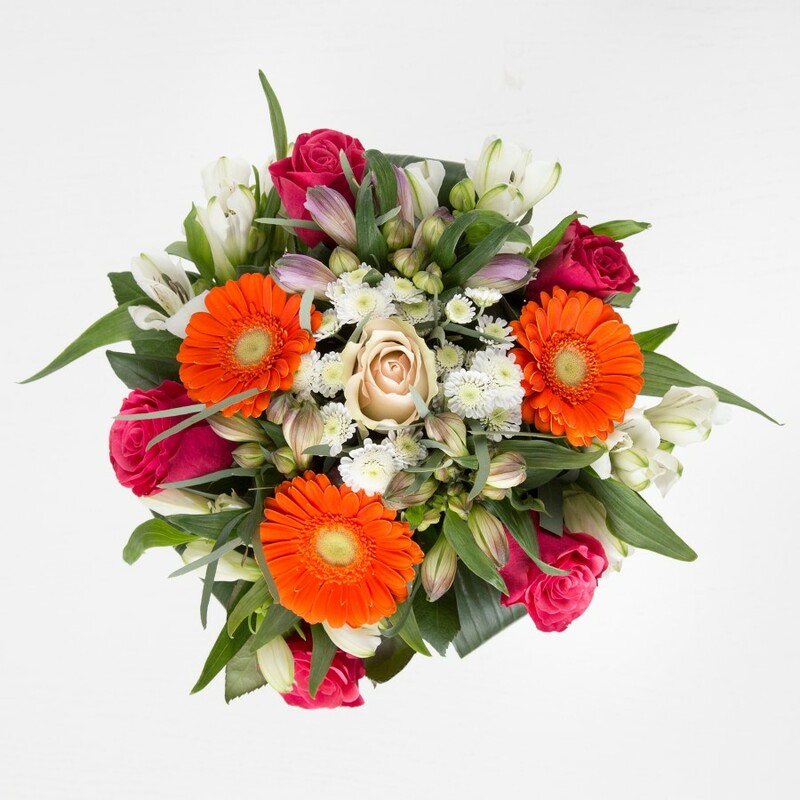 Irresistible orange burst and cream germini, pastel pink roses and carnations, white chrysanthemums and alstroemeria, complemented with aspidistra leaves wouldn't leave anyone indifferent. Original size bouquet pictured. Original bouquet contains 19 stems. A wonderful arrangement of colors, style and beauty. Greetings! The bouquet arrived safe and stunning! Thanks so so so much! Freshly cut flowers. Lasted for over a week. I have only great things to say about this florist - responded quickly to my inquiry and delivered the most amazing flowers! Give them a call, you won't regret it! Ordering with this company was a real pleasure, they delivered the flowers and made sure that everything was perfectly arranged. The only flower company I'll be using from now on! Chose this modern flower arrangement for one of our corporate clients. 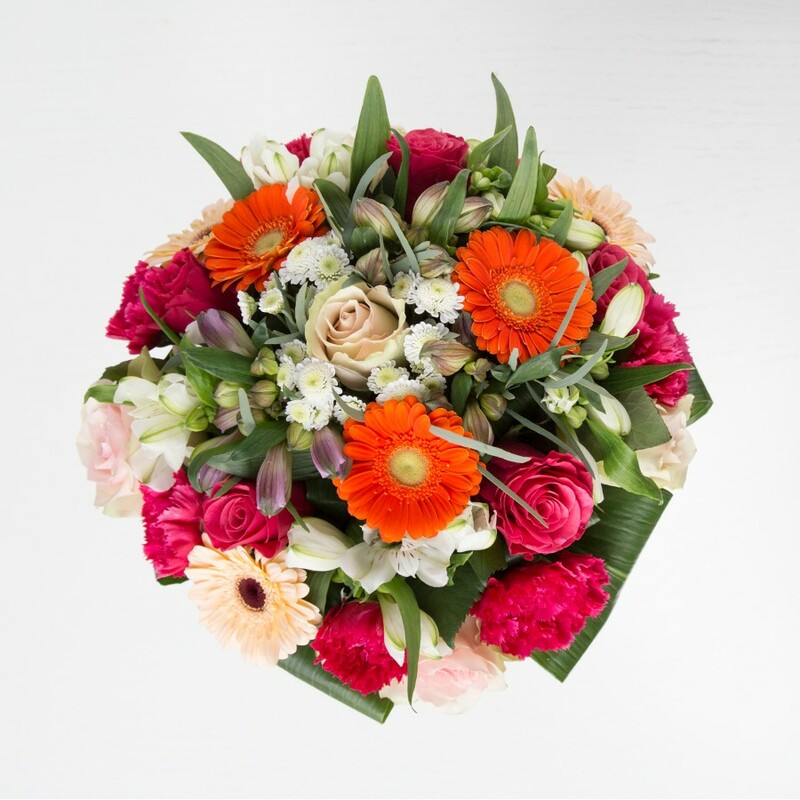 The flowers were all great – fresh-cut and gorgeously arranged. Thanks! Splendid display of craftsmanship! The bouquet I received looked stunning! Wonder was just what I wanted. The flowers they delivered looked just like the picture on the site. 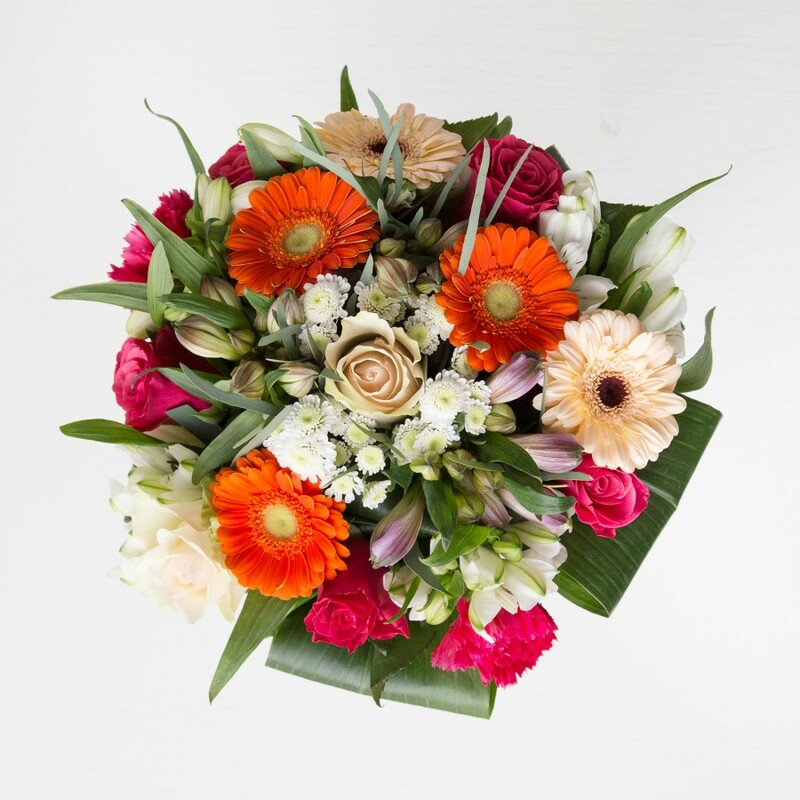 Great flower delivery service at a reasonable price! I ordered quite a few bunches of these as various thank you presents for close friends and all of them were over the moon with them. Thanks! Was very overwhelmed by the amount of choice presented on the website and found it very easy to browse through them all. 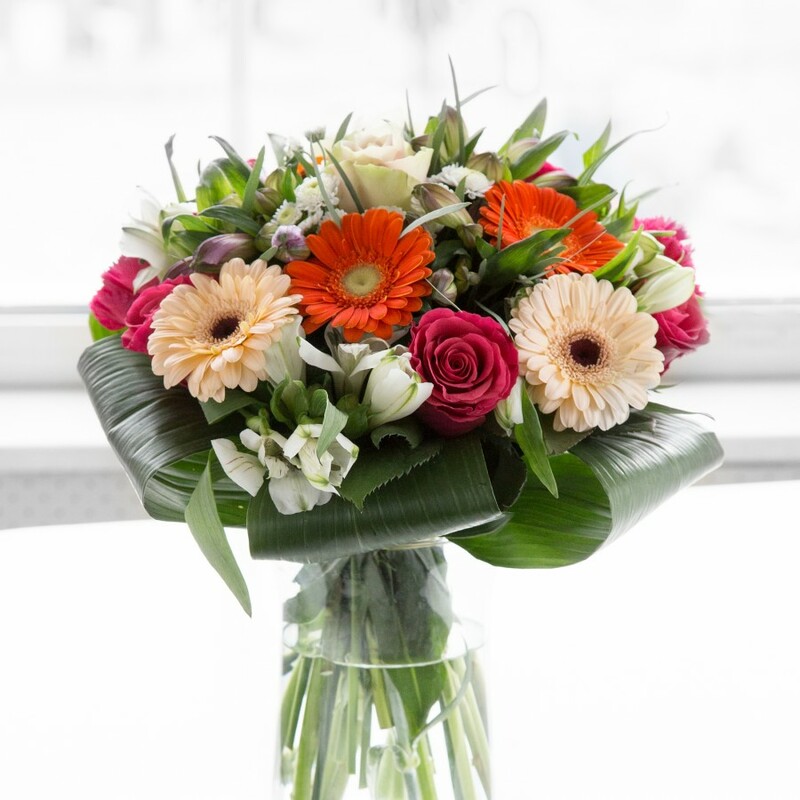 Our daughter and son-in-law have just had a new baby and we ordered this bouquet for them for when they got back from hospital. Was chuffed they arrived exactly when we wanted them to and the flowers were perfect. 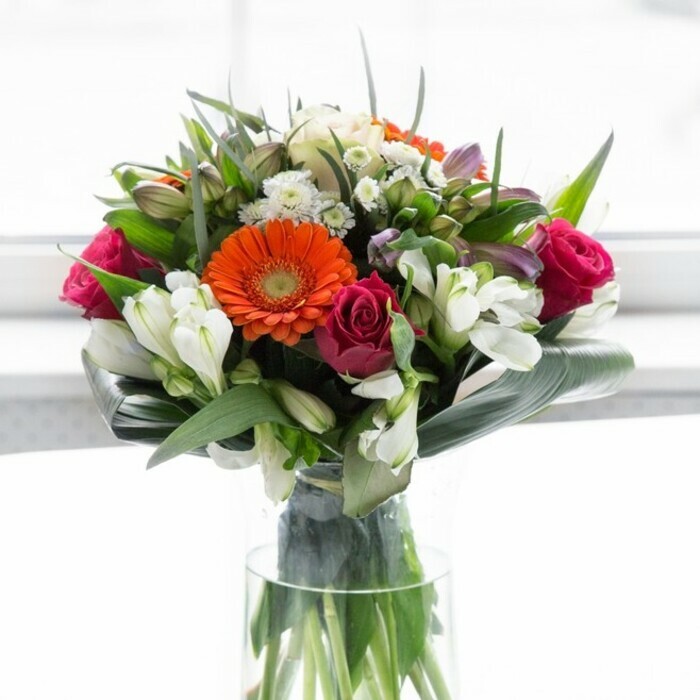 Will definitely be ordering again – my fiancée was over the moon with the flowers and we were really impressed with how fresh they were when they arrived. Would definitely recommend the customer service, the products and the website to everyone.